Olivia began her musical journey as a child, training classically in both piano and voice and achieving a Grade 8 in Musical Theatre, whilst competing in dance competitions, before moving on to singing and playing keys in pop cover bands. Since graduating from Staffordshire University with a HND in Performing Arts in 2009, Olivia has enjoyed a varied career in teaching performing arts, giving private singing and music lessons, running workshops for local councils and teaching the national music curriculum in primary schools. 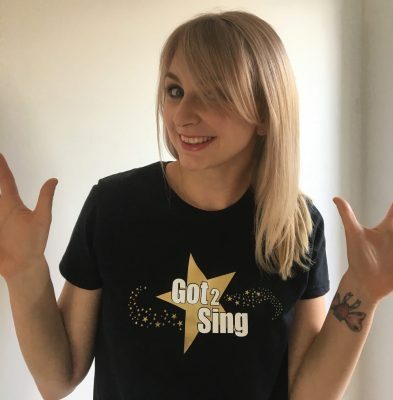 Olivia particularly enjoys building the confidence and stage presence of performers focusing on ‘fun and friendly’ – which fits very well with the Got 2 Sing Choir philosophy!